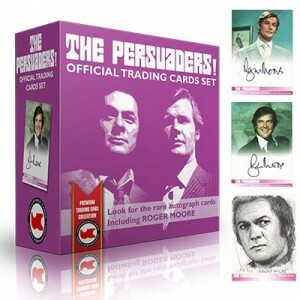 Shipping October 30th, for a one time release, we will release the official The Persuaders, starring the late Tony Curtis & Sir Roger Moore. 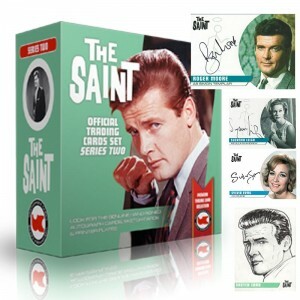 Shipping October 30th, for a one time release, we will release the official The Saint Series 2, starring the late Tony Curtis & Sir Roger Moore. 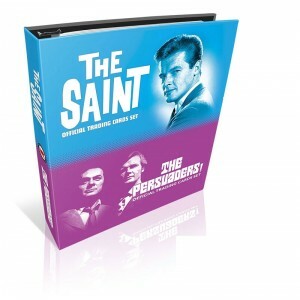 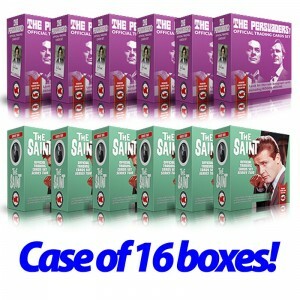 The Saint 2 & Persuaders CASE of 16 Boxes Shipping October 30th, for a one time release, we will release the official The Persuaders, starring the late Tony Curtis & Sir Roger Moore. 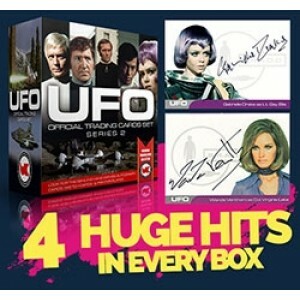 UFO Series 2 HOBBY Autograph Trading Cards BOX.